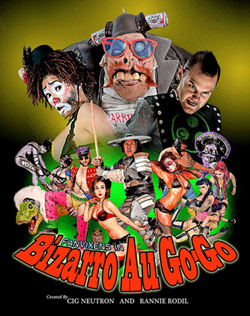 Bizarro Au Go-Go: Blood, Babes, and Beyond: Party with FanVixens Saturday May 14th at the Vanguard Hollywood!! Party with FanVixens Saturday May 14th at the Vanguard Hollywood!! This Saturday May 14th, 2011. Come party with me and my lovely FanVixens at Perish's Studio 69 at the Vanguard in Hollywood!!! We will be dressed to KILL. You don't want to miss this amazing show.